There is a reason your guitar instructor teaches you scales, and it’s not just to give you something tedious and boring to do. If you learn your scales inside and out, you will become a more versatile player, which means you’ll be a more in-demand guitar player. There are plenty of other good reasons to run through your scales regularly, but what motivates you most? 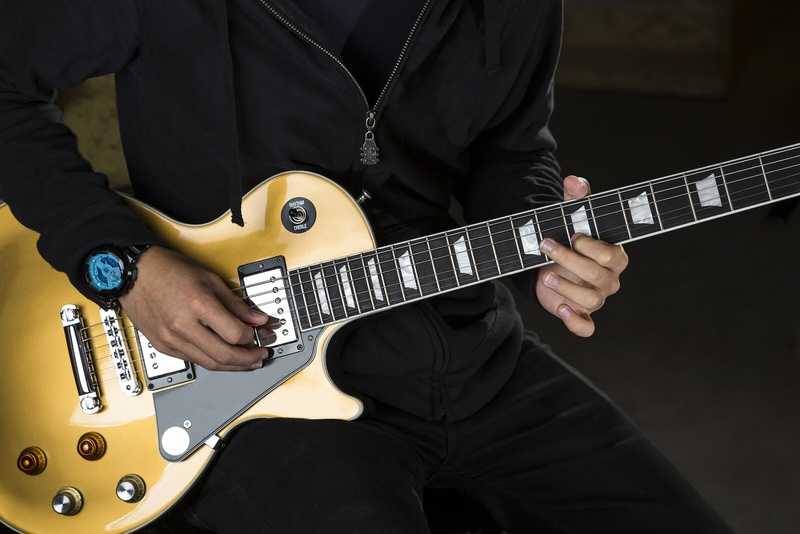 Check out some of these fabulous reasons to buckle down and practice. As a beginner, it may seem that the strings are against you. Where do you put your fingers, how do you get the sound you are looking for, and how the heck will you ever coordinate the strumming/picking with whatever your other hand is doing on the frets? With each minute of practice, you will feel your confidence level rising. As you practice your scales up and down, you will begin to “feel” your guitar, and soon you will be playing without having to watch your hands. Your dexterity will improve. Your speed will improve. You will even be able to open up some sheet music and sight read a first-run! All of this will be owed to your guitar scales practice. Scales are the building blocks for literally everything you will ever play. Knowing them will help you recognize the patterns and even hop into other types of music. Imagine being the type of musician that can hear something like, “Blues riff in B, watch me for the changes, and try to keep up,” recognizing the key right away, AND actually keeping up. Yes, this may be a movie scene, Back to the Future, to be precise, but there are thousands of studio musicians that can run with such instructions. How? They became intimate with their musical scales. If you want to break out into a mind-numbing solo, you will need to really know your scales so that you don’t clash with the rest of the band, like Marty does towards the end. Being a team player means knowing your part first, and being able to blend with the others because you’ve got that knowledge. Marty is a decent player, but he needs to practice his scales more. All of your hard work and dedication will enable you to appear as if it’s easy for you. Whether you want to play classical or become a rock god, knowing your scales will bolster your abilities. It will also put you more in demand, as you will be able to cross over into several genres. Really knowing your scales will enable you to see the similarities between vastly different types music, many of which were built on each other. If you think there isn’t a direct link from Mozart to Metallica, go back and listen to each again. Music may vary widely in style and appeal, but the basics are the same no matter the genre. Yes, there are some players that just pick at their guitars and manage to create some decent tunes. All of the truly great players, however, are quite knowledgeable of music theory, and the only way they could have achieved this knowledge is through countless hours of practicing.